Tommy Hilfiger, the premium American clothing company, epitomises classic American cool with its preppy styling. 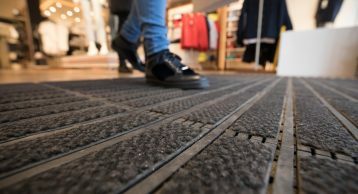 Find out how our Entrance Matting is playing a key role in enhancing the brand and taking it to the next level. 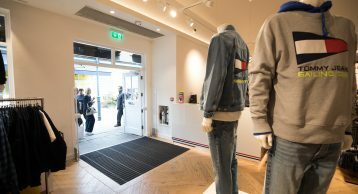 Driven by three core principles of creating ‘classic, cool and committed’ products, operating in a lean and clean manner and embracing an inclusive and entrepreneurial brand spirit, maintaining these brand values throughout their stores is paramount – and this starts with the first impression made as the customers walks into the store. 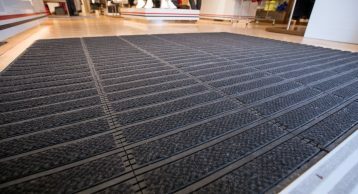 At INTRAsystems we believe in the power of Entrance Matting in creating the right first impression. 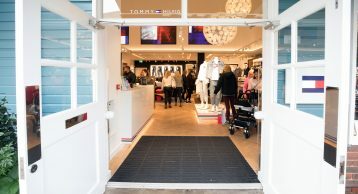 Our classic INTRAlink low profile Entrance Matting works in harmony with Tommy Hilfiger’s brand values. 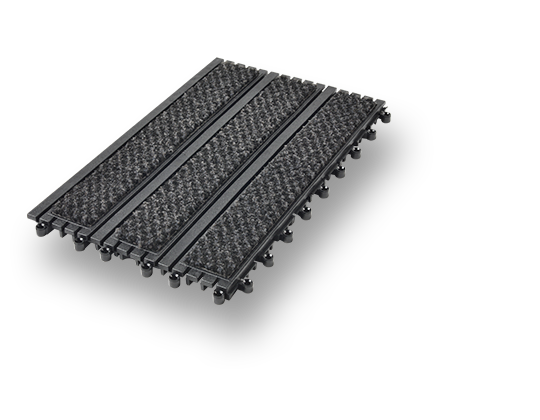 The black and anthracite INTRAlux Premier insert in this PVC matting forms a highly durable system that prevents the ingress of soil and moisture keeping the internal finishing clean and safe for all customers. 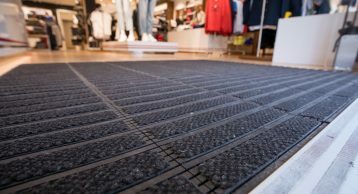 INTRAlink Entrance Matting is an interlocking tile which offers ease of installation and beautifully simple aesthetics. The system is also compatible with electronic tagging systems, perfect for use alongside retail security systems. A heavy duty interlocking tile system, suitable for shallow recessed areas and for surface mounting. A versatile and cost effective system that offers exceptional durability and performance for high traffic areas.